If your call is urgent and you are not able to contact anyone within the Transportation Department Office, please call DMJ Transportation at 833-MYGSBUS. 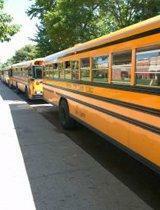 The Transportation Department oversees all transportation services that involve District students. This involves not only approving and supervising routes and stops, but also focusing on the safety of all transported students.